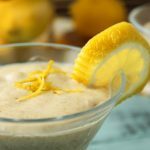 So you’re done the whole protein powder thing, and you’re looking for something different. A new edge. Something to make yourself look and feel amazing. Something to put you on top. There’s a reason why creatine is the next-most popular supplement out there after protein powder. For starters, it makes your muscles look good, due to its increased muscle water content. And not only that, it has been proven to increase muscle power and explosiveness as well as recovery. In short, creatine is a popular supplement because it makes your muscles look bigger and function better, as well as helping your endurance, recovery time, and potentially even your cognitive abilities. Next, you’ll just need to decide what type of creatine you’re going to purchase, as well as what the best brand is for you. Before we get into the list of the best creatine supplement on the market, let’s talk about the best type of creatine to consider purchasing. 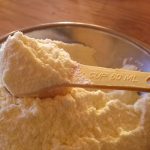 We established early on in this article that creatine is almost a no-brainer for you if you are serious about working out and increasing your muscle mass and endurance. But, of course, there are two sides to every story. We’ll start with some of the cons first before reiterating why creatine might be a real solution for you. While there aren’t really any true “side effects” to taking creatine, there are indeed some potential inconveniences that could come along with the supplement. Creatine causes the body to retain more water than it typically might, although much of the water is stored inside your muscular cells, thereby reducing any bloating that water retention would typically cause. 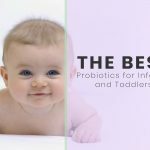 Depending on the type of creatine that you ultimately decide to take, it is possible that it could contribute to digestive issues. As always, this type of a side effect depends greatly on the person, so a simple trial and error regarding the type of creatine that might work best for you is probably the best solution. The most obvious and starkly positive benefit of taking creatine is related to the increase in strength and power that comes with supplementing your diet and workout routine with creatine powder or pills. Anytime you exercise utilizing start-stop activities (such as weight training), your body’s primary energy molecule, adenosine triphosphate (ATP) kicks into action. Creatine assists in providing additional phosphate groups to your muscle tissue that will contribute to synthesizing ATP at a quicker pace. Therefore, you’ll be able to lift more and do it faster and more often. Additionally, this process will help you gain lean muscle tissue more efficiently as well, as the underlying stimulus for muscle growth is increasing the resistance in your exercises. Importantly, creatine also helps your muscles look better by requiring additional water to be stored in your muscle tissue, thereby expanding them and making them appear as more defined. If you consistently use creatine for two to three weeks, your body weight will increase due to the stored water — and your muscles will look great. Some other benefits: there are no real, clear side effects, and certainly nothing that is long-lasting. 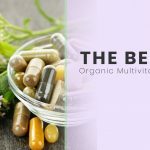 Plus, it’s a relatively inexpensive supplement compared to several of the other options out there that are likely not as effective and could very well come with additional side effects. If you’re new to creatine, you may be surprised to learn that the supplement comes in many different varieties. Creatine monohydrate is the original form of creatine, remains the most popular supplement of its kind around the world, and you’ll notice that it’s quite prevalent on our list that we’ll get to in just a moment. Creatine monohydrate is also relatively affordable and has shown itself to be the most effective form of creatine for most people. That said, some folks experience stomach discomfort when taking creatine monohydrate as it is not entirely water-soluble, which is virtually the only potential downside to this supplement. Creatine hydrochloride has a different pH than the monohydrate option and is generally digested more easily. Creatine magnesium chelate and creatine ethyl ester (CEE) powder are both options as well. Both are a little more expensive but effective without some of the mostly tame side effects that could come with creatine monohydrate. What is the best way to take creatine? The most popular way to take creatine is as a powder, added to your favorite cold juice or water. Some creatine powders will mix in better than others, of course, so be sure to pay attention to notes regarding the smoothness or grittiness of some of the powders when they are mixed with a drink. Another way that some folks prefer to get their daily creatine is via pill. A couple of the products on our list offer both pill and powder options, so be sure that you select the form of creatine that you really are intending to purchase. So, what is the best way to take creatine? That’s completely up to personal preference. 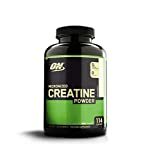 The powder is definitely the preferred way to go for many folks; most of the products on this list have flavored options, so that can certainly be the most enjoyable way to take your creatine. Or, grab an unflavored powder and mix it into a post- or pre-workout shake. This truly depends on the product. 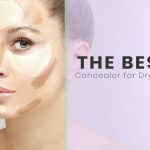 Some of the options on this list encourage a scoop of their powder in the morning and one at night. Some suggest either pre- or post-workout, but not necessarily both. There’s at least one product that recommends once at every meal, plus once before bed. In other words, pay attention to the label, and feel free to do your own research, too. And, as always, consult your doctor (hopefully you were going to do that anyway) and ask him or her what they would recommend as the best time to take creatine. Now, let’s find out what the best creatine supplement on the market is today. 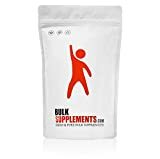 This particular product is proud of the relative value it offers, as you can get more bang for your buck with BulkSupplements when it comes to finding the best creatine powder on the market. The product also includes corosolic acid, which improves blood glucose control and enhances the signaling of insulin. BSN Micronized Creatine Monohydrate is another option that is 100 percent creatine monohydrate without any additional ingredients. Optimum Nutrition is another company that offers Creapure Creatine, which is geared towards improving overall muscle strength and power and performance throughout a high-intensity exercise. This is another creatine product that ensures that their product will be rapidly absorbed by your body, avoiding the need for “loading” by stacking additional supplements. This monohydrate creatine is produced using its own unique United States patent that guarantees the highest purity and potency. This particular product underlines its ability to increase strength, performance, and even muscle growth, reducing fatigue during rigorous workouts. This product is non-GMO, gluten-free, and made entirely in the United States. You can buy it in bottles of either 500 of 1000 grams, and each serving is five grams of product. 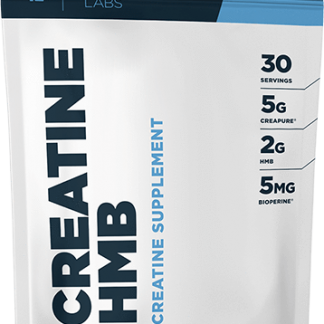 Transparent Labs’ StrengthSeries Creatine HMB is a creatine monohydrate and HMB combination that have been shown to work together to enhance strength and endurance while decreasing fat mass and assisting to prevent lean muscle loss. There are no artificial sweeteners, coloring, or preservatives, and the product is completely gluten-free and non-GMO. You won’t find any colored dyes or unnecessary fillers or additives, either, and the ingredients that are included are in clinically effective dosages. Those ingredients include the aforementioned creatine monohydrate, HMB, and BioPerine, which is derived from a black pepper extract and increases absorption and bioavailability. Other natural flavorings include blue raspberry flavor. The product can be taken as one scoop 30 minutes after a workout, and a scoop should be taken in the morning for recovery on non-workout days. There is no need to cycle on and off this product. Just go for it and pay attention to how your body responds. All things considered, this was the best creatine monohydrate that we found on the market. BulkSupplements is another company that allows a monohydrate creatine powder. Again, this encourages the process of sending energy directly to your muscles and ultimately increasing muscle mass while boosting strength and speed. This particular product is proud of the relative value it offers, as you can get more bang for your buck with BulkSupplements when it comes to finding the best creatine powder on the market. Of course, it usually isn’t the best idea to simply buy the cheapest supplement on the market, but BulkSupplements appears to offer the best of both worlds. The company also lauds the numerous lab tests made on their products, offering a 99.99 percent purity guarantee on their micronized creatine monohydrate. Additionally, it is a vegan product that does not contain any dairy or other additives, all while remaining soy, yeast, and gluten-free. You can order BulkSupplements Creatine Monohydrate powder in three sizes: one kilogram, five kilograms, or 25 kilograms. 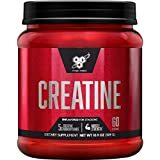 Additionally, they have one of the best creatine pills that we found as well, and you can order those in quantities of 100 or 300 capsules, either gelatin or vegetarian. 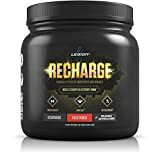 Legion’s Recharge is a post-workout supplement based on pure creatine monohydrate. It does not include any food dyes and is entirely naturally sweetened and flavored and can be purchased in fruit punch or strawberry lemonade flavors. Recharge includes L-Carnitine L-Tartrate, which are compounds produced from amino acids such as lysine and methionine. It contributes to cellular energy, and helps to reduce muscle soreness while improving muscle repair and insulin sensitivity after workouts. They have also been thought to assist with attention span, reduce fatigue, and boost your cognitive abilities. Legion Recharge is made in cGMP and NSF-certified facilities in the United States and are backed by a 100 percent satisfaction guarantee. If you don’t love the product within the first 60 days of purchase, Legion will provide a full and complete refund. Each serving includes five grams of creatine monohydrate and is geared towards supporting lean muscle mass, strength and power, and overall performance ability, aiming to take your training to the next level. This product can be purchased unflavored in order to be added to your favorite post-workout recovery beverage. It also mixes in smoothly, so you won’t need to worry about a lumpy drink. If you prefer, you can also pick up BSN’s creatine product in one of 15 different flavors and one of four different container sizes. Optimum Nutrition is another company that offers Creapure Creatine, which is geared towards improving overall muscle strength and power and performance throughout a high-intensity exercise. It can also increase your energy levels and quicken your recovery time by enhancing the energy reserves in your muscles while minimizing protein breakdown. This is another product that is made entirely of creatine monohydrate, so you know exactly what you’re getting. Optimum’s product can be purchased in watermelon, cranberry lemonade, or fruit punch, or simply purchase it unflavored. It can be added to cold water or juice and taken along with all three meals plus an additional teaspoon prior to going to sleep at night. Doesn’t offer any obvious guarantees about the product being vegan, non-GMO, etc. MusclePharm ensures the consumer that their supplement is “one of the most clinically researched compounds available,” so you definitely know what you’re getting with this one. As with the other creatines, MusclePharm’s product restores muscular energy levels that are depleted during exercise. The powder features five grams of creatine monohydrate and works to maximize its impact on the performance of athletes. This is another creatine product that ensures that their product will be rapidly absorbed by your body, avoiding the need for “loading” by stacking additional supplements. Everything about MusclePharm Creatine is pharmaceutical quality. Naked Creatine is made entirely of the highest-grade pure micronized creatine monohydrate available. There are zero artificial sweeteners, flavors, or colors, and the product is non-GMO, as well as completely free of soy, gluten, and dairy. The product includes five grams of monohydrate creatine in each serving, and it also happens to be the only ingredient in each serving. 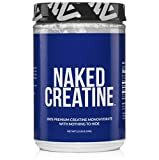 Naked Creatine is one of the few creatine powders to dissolve quickly in liquid, meaning that you can mix it straight into your water or juice. Because this supplement is pure creatine monohydrate, it will absorb rapidly, increasing strength and overall training capacity. Naked is clear that their product is void of additives simply because they believe that a simple product with pure ingredients is the best way to go. If you’re looking for additives to deliver additional health benefits, you won’t find those here. If you’re looking for a pure product without additives whatsoever, then this might be the product for you. This monohydrate creatine is produced using its own unique United States patent that guarantees the highest purity and potency. 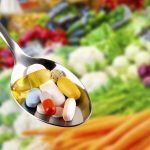 Each batch of the supplement is produced in a plant located in Germany that is registered with the Food and Drug Administration (FDA). Integrated Supplements prides itself on offering creatine that is free of some of the impurities that can be found in many other creatine powders, such as dicyandiamide, thiourea, and dihydrotriazine. Creapure Creatine is an entirely micronized powder that is designed specifically to improve recovery and performance and increase strength and energy. Another 100 percent pure, micronized creatine product. BPI Sports’ solution contains no added sugars or fillers — just the inclusion of pure, pharmaceutical-grade creatine. This particular product underlines its ability to increase strength, performance, and even muscle growth, reducing fatigue during rigorous workouts. It also increased overall energy levels and promotes optimal recovery. 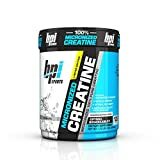 BPI Sports Micronized Creatine is a tasteless and odorless powder that can be mixed with any drink without concern about a gritty, unsmooth texture, and it doesn’t matter if it is before, during, or after your workout. 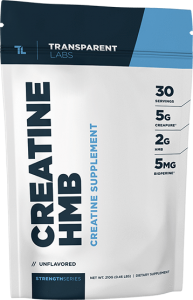 The micronized nature of this creatine also contributes to the ease of absorption from your body, ensuring that the benefits of the supplement can be enjoyed sooner rather than later. 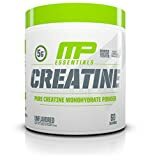 Nutricost’s creatine product is made entirely of Creapure Creatine Monohydrate, which comes with plenty of aforementioned benefits that improve muscle strength and performance. There are not any additional flavor offerings, and not a ton of overall additional information about the product, although it continues to enjoy great Amazon ratings. Non-GMO, gluten-free, and made in the U.S.
We can’t stress enough that there is virtually no downside to supplementing your workout routine and diet with creatine. That said, it is always a good idea to check with your doctor before making any changes to your day-to-day routine, and that includes taking supplements of any kind. Creatine is just that, and your doctor may also have some insight as to which type of creatine you should try first. Remember, there’s no way of truly knowing how your body will respond to the various types of creatine supplements until you give it a try. And this is a fairly universally effective supplement; while its effectiveness will vary somewhat from person to person, it isn’t like we need to find the best creatine for men or for women specifically, or based on your age or activity level. 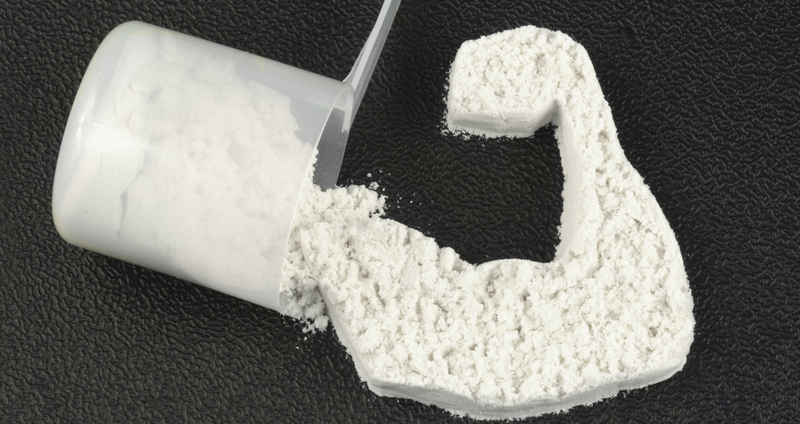 Creatine is generally effective, and that’s the bottom line. Be sure to check out all of the creatine monohydrates on the list, as well as the pill options listed, and perhaps some hydrochloride and micronized options. Again, this is a personal preference call that you’ll need to make once you have fully educated yourself. But no matter what you decide, know that you’re selecting a form of the most popular supplement his side of protein powder.